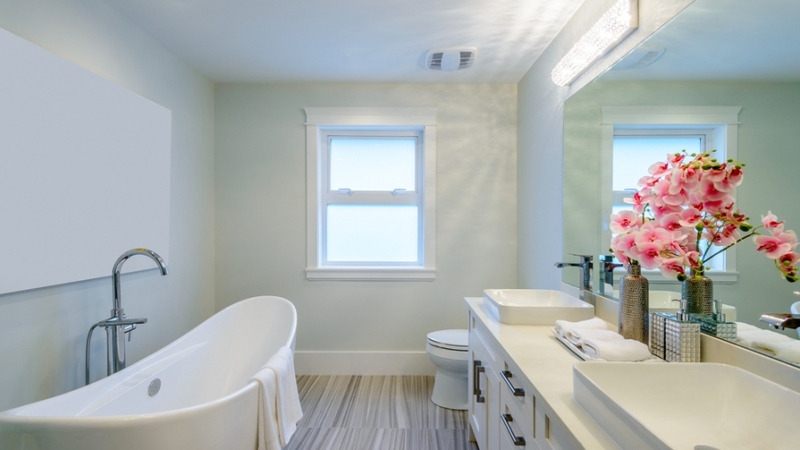 Bathroom remodels are one of the most popular types of home renovations to take on. For whatever reason, we love upgrading and changing the place where we bathe and use the toilet. One of the biggest signs of an outdated bathroom is in the cabinets. If your cabinets were installed when the house was first built in the sixties or seventies, you’ll probably be able to tell. Tastes have really changed a lot since then. You wouldn’t want a house with green shag carpeting, would you? If not, then it’s time to update the cabinets as well. The big box home improvement stores spend a lot of money advertising, but that doesn’t mean you’ll get the best deal there. An independent hardware and lumber store will usually be able to offer you both better deals and service. They’ll be able to talk to you for a few minutes about what you’re looking for in your bathroom cabinets instead of rushing off to make the next sale. Personalized attention is what you’re looking for when you’re doing something as big as upgrading your bathroom. Don’t settle for less than what you deserve. In America, we’re used to showers that are mounted on the wall. That’s the standard, but it doesn’t mean you can’t change things around. A ceiling-mounted showerhead is often called a “rainfall shower” because it can make you feel like you’re standing in the middle of a pleasant rainstorm. A wall showerhead can’t really do that, since rain generally doesn’t fall at that particular angle. A ceiling mounted showerhead could be just the thing you need to get your mornings started off with a bang. You’ll feel both more energized and a little bit decadent. Then there’s the tub. You probably have an alcove tub rather than a freestanding one. They’re popular because they’re cheap. Unfortunately, they’re not very luxurious. The standard size for such tubs is about sixty inches, or five feet. If you’re taller than that, you may not be able to really stretch out and enjoy a nice soak in the bathtub. If you treat bathtime like a religion, you may want to upgrade your church by getting a claw tub. They take up more space and are more expensive, but they can work great in houses with a rustic country feel. They may not be the best option for houses that are super sleek and modern, as they tend to remind people of the olden days. If you’re really feeling wild, you can stick a garden tub in the corner of your bathroom, but you better have a lot of space to spare if you go with that option. How’s your bathroom lighting? Now’s a good time to change up your light fixtures as well. If the lighting you have now feels too drab, it’s time to look into alternate types of lighting. Look at your light fixtures, too. You have more choices there than you might realize, including perforated tubing. Bathroom renovations are rarely quick. You have to be prepared for a little dust and a fair amount of inconvenience. If you can handle that, though, you’ll be rewarded with an awesome new room in your house.